You can view a photo of the 1906 story below. There is no evidence that anything particularly improper was involved with century plus old shooting, and indeed, it may cast Warrens great grandfather in a positive light for some people. However, what it most unequivocally does cast doubt on is Warrens reliability as a narrator of her family history. 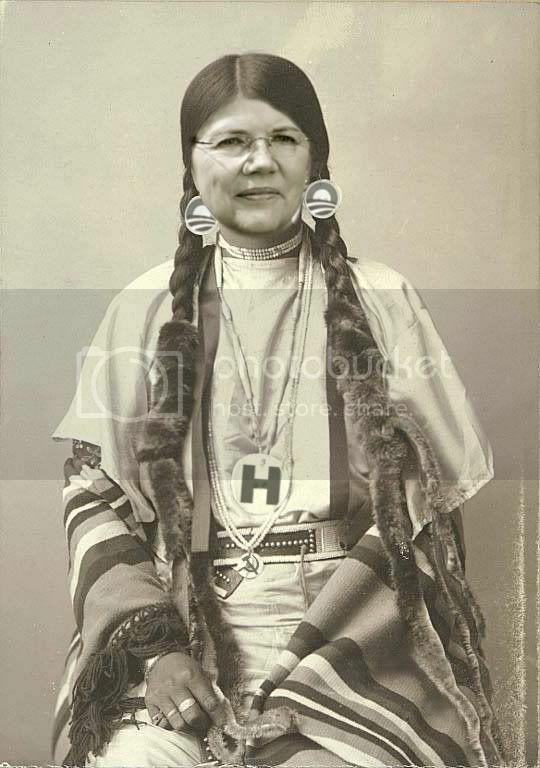 To that end, it is likely to be used by the Scott Brown campaign as another piece of evidence that Warren has been falsifying her history, and is generally untrustworthy. "I have high cheek bones...and my great granddad once shot an indian." just WOW! can anyone make her admit the truth? that she really is not indian? Maybe John Crawford was (is?) a vampire, and drank Louis Yaholar’s blood, thus legitimizing Warren’s story. is this not poetic justice of the highest degree? She claimed to have Indian blood in her, now she has Indian blood on her. "crazed with drink" "You can buy me a drink cowboy, if you promise not to shoot me. A bottle of Aqua Velva? Yum!" The woman is a disgrace. Anyone that would vote for her is a disgrace. Using the same deductive reasoning as the Progressive Liberals in this country use, we can only arrive at one conclusion based on her forebears action....Elizabeth Warren is a racist and must be made to pay reparations plus interest. She must have heard only half her mom’s story. According to the article, the Indian was shot but the reporter didn’t know if it was fatal. It's ok. The left is cool with this. The Indian was a Republican...or at least knew what the word meant. She must have heard only half her moms story. 1) BEST line i’ve seen all week! 2) Both sides were bad to Indians. herded Indians on the “Trail of Tears”. thanks, i was actually kind of proud coming up with that one...i can’t stand that phony woman.